The Swedish Academy’s award of the 2016 Nobel Prize in Literature to Bob Dylan has sparked a controversy that is perfectly in keeping with the bard’s career. 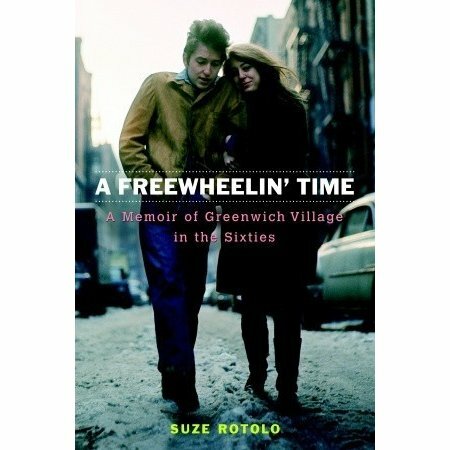 Bob Dylan, aka Bob Zimmerman, came from Minnesota and began writing and performing songs in the bars and cafés of Greenwich Village in the early 1960’s. Having access to the library of the Marxist parents of his first girl-friend and muse Suze Rotolo, (See the memoir A Freewheelin’ Time, by Suze Rotolo) the future Bob Dylan educated himself in 19th century socialist writing and read widely in literature, particularly the work of the French modernist poets, Rimbaud and Verlaine. His lyric “… relationships have all been bad./ Mine are like Verlaine’s and Rimbaud’s” is a nod to two of Dylan’s literary mentors. That historical and poetic grounding, combined with an immersion in the American folk-singing tradition of Woody Guthrie and Pete Seeger, helped Dylan to form the idiom he could then draw on for a lifetime, enabling him in the words of the Swedish Academy to create “new poetic expressions within the great American song tradition.” In the process, Dylan created a musical chronicle of his time, and many of his songs—“A Hard Rain”, “The Gates of Eden”—became anthems of the era of the 1960’s. Girls of that generation were named Eden, in homage to the title of one of Dylan’s most famous songs. Predictably, not everyone has the same estimate of Dylan’s achievement as the Swedish Academy. The novelist Irvine Welsh called the Academy’s award “ill-conceived nostalgia wrenched from the rancid prostates of senile, gibbering hippies.” Like some critics, Welsh seems to object to the nostalgia implicit in the fact that an “icon of the Sixties” (of the “Freewheelin’ Time”) is being celebrated long after his original fame has subsided into a steadier flame, hence the reference to the prostate, symbolizing one of the more troublesome afflictions of middle age. Though vivid, Welsh’s imagery is unendearing and his words will be in no danger of ever being set to music. Others have objected that Dylan is not a poet but a song-writer. Dylan himself would not protest. He has never made pretensions to writing Literature with a capital L. On the contrary, he was quick to undermine any such role for himself before anyone could assign it to him. Anyone who wrote a line like that is not likely to be welcomed into the halls of Academe. Others aver that Dylan has assimilated the writings and sayings of others, and The New York Times quibbled that songs are not the same as poems since their verses exist to be sung or spoken aloud, not read in silence.